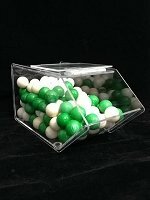 The 3 Tier Stackable Bins are wonderful for conserving shelf space. With these stacking bins, you can display 3 products where you used to display only one. 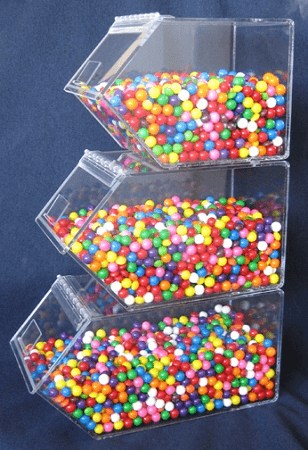 Using normally unused vertical space, these candy bins allow for more variety in your store. Your candies are going to look even more alluring in these acrylic containers. Just imagine the smiles as customers purchase your products and they will come back for more. Attractive and durable, making them safe for little hands, these are the ideal stackable bins for your business. Order your stackable bins today.